Can I set this up so I don't have to keep logging into DayBack Online? Yes. If you're using DayBack Online in a browser then just mark "remember me" when signing on and DayBack won't ask you for your login again for quite some time (unless you manually sign-out from the account settings tab). 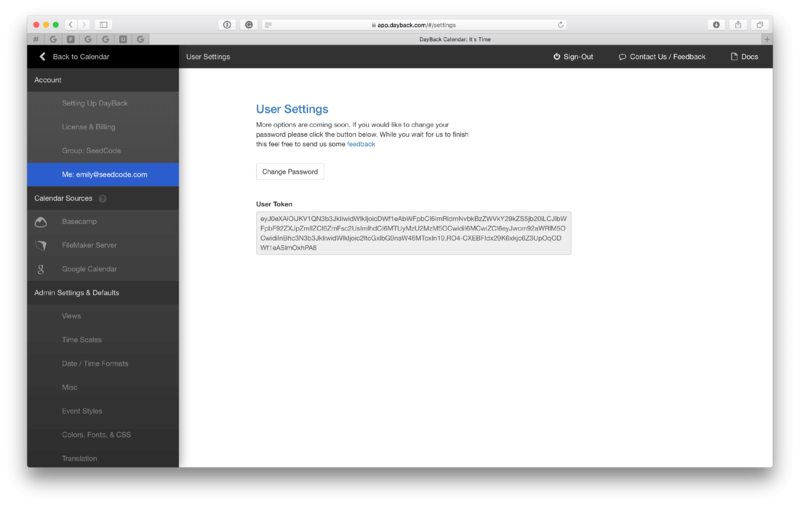 If you're working with DayBack Online in a FileMaker web viewer, the "remember me" checkbox works the same way and won't ask you to log in again when you return to the webviewer layout. n = "Admin" ; "6ZmFsc2UsImlhdCI6MTUyM2MzM5OCwidi..."